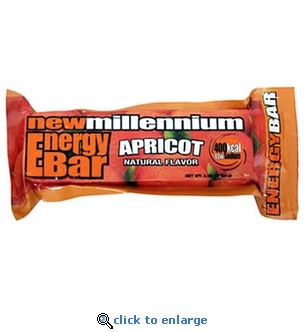 This case of 144 Apricot New Millennium Energy Bars are great for emergency kits and survival kits for homes and business. Includes 144 individually wrapped 400 calorie energy bars that are U.S. Coast Guard approved and have a 5-year shelf life. Be prepared on outdoor adventures by having these emergency food bars with you when hiking, camping, hunting, and more. Also available in Tropical Fruit, Lemon, Cherry, Blueberry, Vanilla, Coconut, Raspberry and Orange.